Our commercail renovation teams provide engineering services for Minneapolis and St. Paul, MN commercial parking structures. Titus Contracting is happy to announce we are working on renovating an early 1900s warehouse space in St. Paul for ALL, Inc. The warehouse is approximately 300,000 square feet; we are excited to be renovating in St Paul and to share some of the details of the project with you. So far, we have cut through exterior walls and a 15-inch-thick concrete floor to install a new parking ramp leading into the warehouse’s basement. Not only that, we’re installing new Americans with Disabilities Act-compliant restrooms and a new conference room, and we’re making upgrades to the building so it is compliant with current fire and life safety requirements. And as if that’s not enough, we’re also installing new steel doors and hardware throughout the entire building! 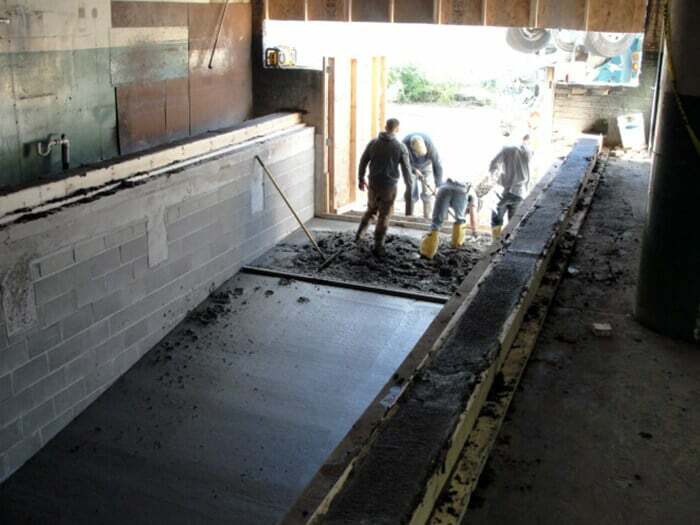 In creating this new garage ramp, one of the more interesting parts of the process was cutting through 15-inch-thick concrete walls and floor. This isn’t a job for just anyone with a jackhammer or a diamond blade. Proper planning, equipment and safety considerations, as with almost all construction jobs, is the key. The walls or floor are completely cut through using a wet saw that’s able to plunge cut to a depth of 20 inches, then a jackhammer is brought in to break through the concrete, making it easier to haul away. A floor cut out of 11 ft. by 40 ft. 15 inches thick alone takes about one week to demo and haul away. After all this demo was completed, it’s time to start pouring concrete and build new block walls to support the floor and new ramp. Please keep following this blog to see more on this great project. 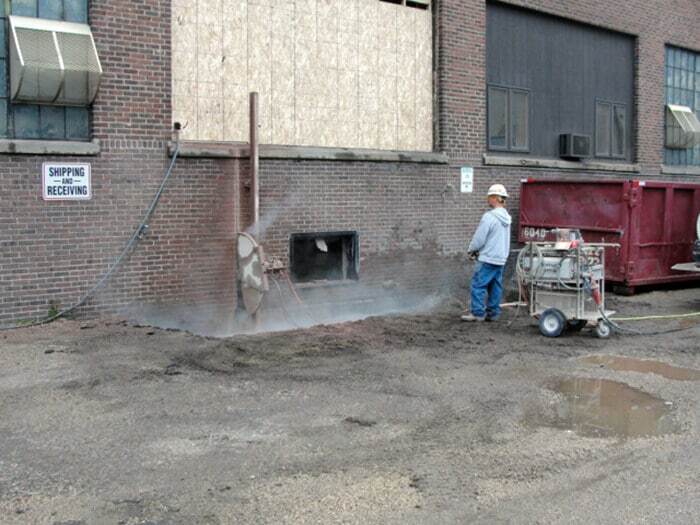 Titus Contracting offers commercial design and build services throughout the Twin Cities area. We will work with you to help you with all of your commercial renovating needs and will be sure to stay within your budget. Give us a call at (952) 746-7817 or request a free estimate.